It is well known that effectively used CNC machines not only improve the quality of the products, but also generate higher throughputs and lower costs by offering the possibility to expand production depth. That is why our Express Glass Services business unit has been investing heavily over the past two years in CNC milling machines with high precision, dedicated monitoring and safety features that enable unmanned production in a 24/7 system. In addition, the produced parts are checked with a modern 3D measuring machine. Meanwhile five CNC milling machines are now in operation. 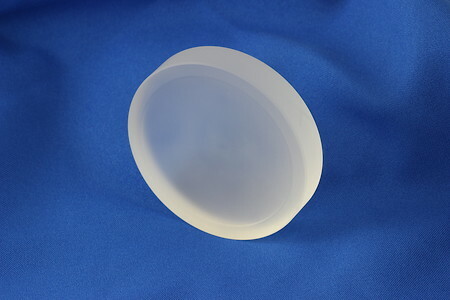 Thus, any radii of lens blanks can be prefabricated. This allows our customers to outsource this special pre-processing step and use the resulting own machine capacities for finishing processes. Consequently delivery times can be significantly reduced and own investments in the production expansion can be saved. In doing so, we not only keep our express promise, but can now also offer a new quality level for semi-finished products. Our stated goal is to be the partner of choice for our customers when it comes to semi-finished products made of glass. The expansion of our offer is only one of many steps in this direction. We still have many challenges to overcome.